Hello ladies. Welcome to the tea party! 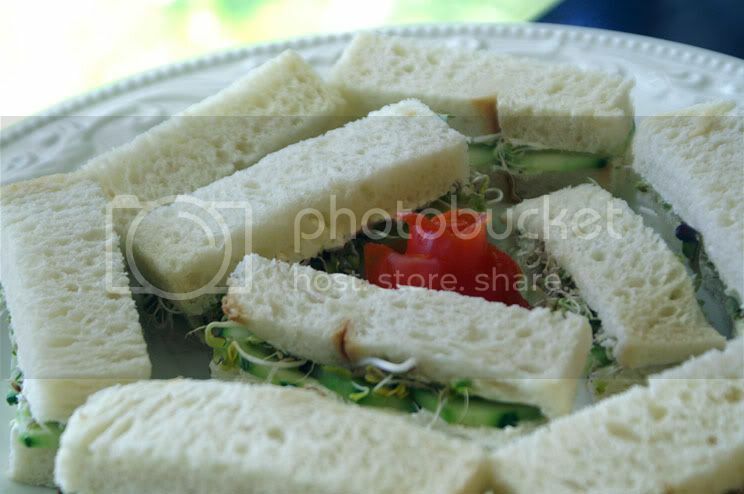 I don't know about you, but when I hear "tea party," the first thing I think about (even before tea) is cucumber sandwiches. They're little. They're dainty. They're light. They're lovely. Now that that's settled, let's proceed. Very simple. 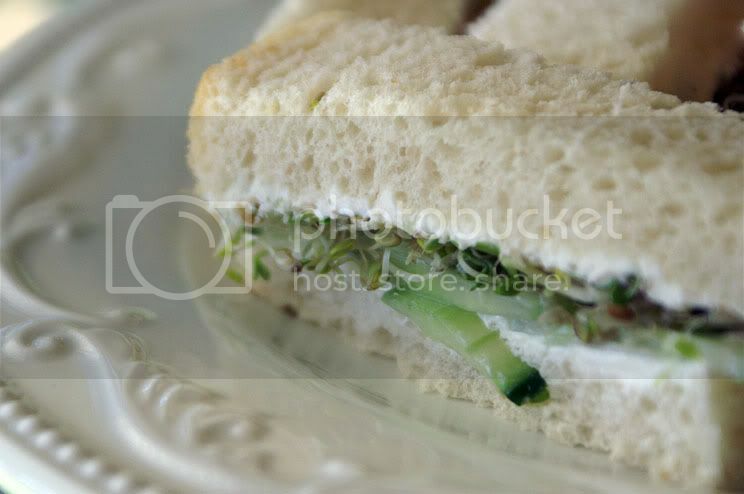 Bread, cucumbers, salt, sprouts (I used clover and radish), cream cheese. ... a dainty and elegant presentation. You could, of course, use much more thinly sliced bread. And of course you could use flavored cream cheese (garden variety, anyone?). As it was, these were airy little clouds of crispy goodness. Not a flavor-filled punch packer, but a dainty accompaniment to tea. 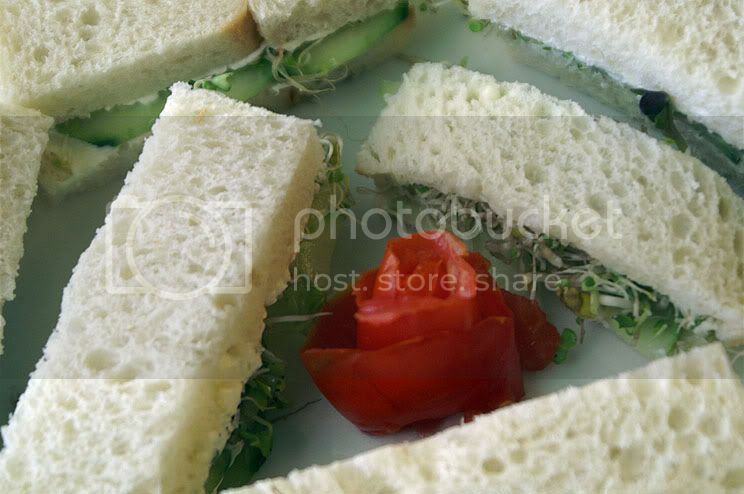 I love cucumber sandwiches! And I love your version. I may have to make myself cucumber sandwiches for lunch sometime. I have made that--sometimes with and sometimes without the cucumber--as a topping for toasted bagels. Yum! No, I hadn't checked out that site yet. What a neat motherlode of ideas! :-D Thanks for sharing! Oh yes :-D... they're wonderful and very light. The problem is, it's easy to eat more than 1 sandwich worth of these finger foods :). Oh yum!! I NEED to make bagels now... gee thanks ;). Oh I look for ANY excuse to use cream cheese! It is brilliance in a little 8 oz block! I love your idea of a tea party (and of course, letting us all in on the action- and best of all- FOOD!!!). Cream cheese is another of those versatile things... cake, dip, spread, brownies, sweet or savory. I love the stuff, too!